Have you heard of the subscriber glitch on YouTube? In a nutshell, what happens is that the moment you upload a video, you lose subscribers. Many big YouTubers have been complaining about this for months. I didn’t complain about it, because it didn’t seem to affect me at all. I had solid subscriber growth. Until about a month ago, that is. It seems that I lose subscribers as fast as I gain them, and the losses are almost always the very moment I upload a video. You think it may be because someone just didn’t like my video? That may be possible, but it’s happening to far too many people, and the decrease in subs happens the very moment videos are uploaded. A couple weeks ago, another booktuber sent me a message, saying that she was no longer subscribed to my channel. However, she never unsubscribed from me. She was just suddenly unsubscribed. She subscribed again, and everything is fine. However, many of the people who are unsubscribed never notice it, especially if they watch videos from many different channels. I personally haven’t noticed being unsubscribed from other channels. However, it’s very possible that I have been unsubscribed. I watch so many channels that it’s easy to miss just one or two. This problem is something that YouTube seems to be just pushing aside and not properly addressing it. They’ve even commented that they don’t unsubscribe people from other channels. They say that if you’re subscribed, your subscription won’t be removed. But the thing is, people are being unsubscribed without their consent all the time! This is a problem for those who use YouTube for their main income. If they lose subscribers, they lose views. That lowers their revenue. Not good. If you make YouTube videos, have you been noticing a sudden drop in subscribers when you upload videos? Let me know in the comments below. Well, I think it’s time to change to Gmail. Yahoo was being especially difficult today. I was searching for several emails, and it became very clear that Yahoo Mail wasn’t cooperating. It was coming up with absolutely no search results for anything. This was just the last straw. Back in 2004, someone invited me to Gmail, and I started using it. I used it until sometime in 2006, but never really got into it. And I don’t know why. I guess my Yahoo address was far more established, and I had no problems with it then. I eventually completely lost my Gmail address. But I liked how Gmail was set up. Well, no more. I’m setting up a Gmail address and will start transitioning over to using that for all of my important accounts and business. Yahoo will continue to be used for subscriptions and accounts where I don’t really need to see the emails. I’ll also use it as a backup. There’s something on YouTube I’ve been waiting for. It’s not available for the general YouTube public yet, though. It’s the new end card editor. This new feature makes it much easier for you to create end cards by incorporating interactive, clickable links to videos, channels, and other features. Let’s face it, annotations look ugly. I’m using annotations in my new Star Trek videos. However, I’m doing it in a way so that when the end card editor is available to me, I can switch them to it. But for a bit of a preview, here’s a tutorial about how to use them so you can see what’s coming. So, I’m excited to use it. I really want to use it. It’ll make the videos look so much better. What do you think? If you make videos on YouTube, do you think this feature will be something you’re interested in? I’m taking you on a brief journey. But it sat at 0% for the longest time. I turned off the new default features. But so far, it works! No issues at all. Occasionally it tells me it’s updating something, but that’s quick. I explored a bit. I saw an app in the Start Menu. Minecraft??? Probably not installed. And it’s a beta version. Wonder if I should try it. And then waste my time! My only annoyance is that I can’t change the colour of the title bar of windows. Oh well. Posted from my iPhone SE. As I type this on my iPhone, my sister is trying to resolve an issue with her newly upgraded Windows 10. It won’t recognize the network connection. She’s upgraded from Windows 7 to Windows 10. It’s a headache. Many solutions fail because the instructions provided fail to understand that she has no internet connection! So, she’s thinking about going back to Windows 7. I have yet to upgrade mine. 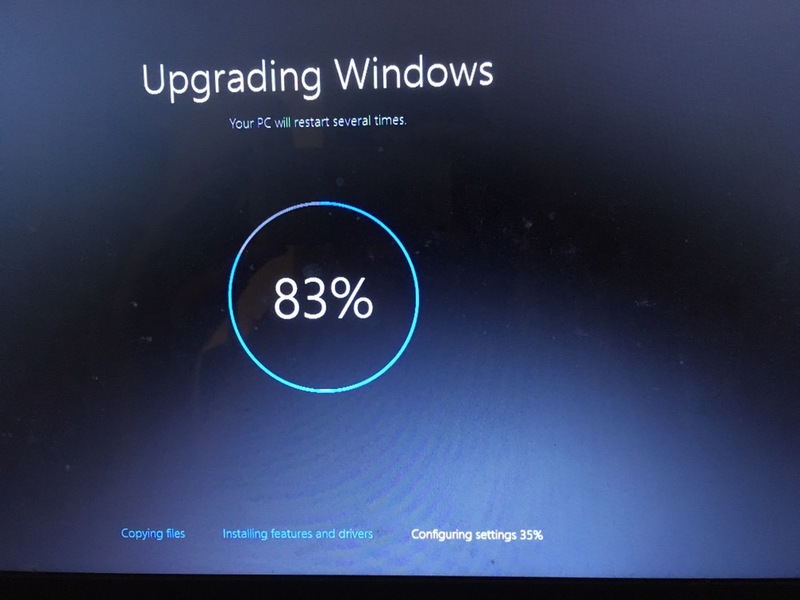 I’m going from Windows 8.1, which has a lot more in common with Windows 10, so I shouldn’t have the same issues. I hope. Update: Restarting the modem and computer seemed to resolve it. However, some login information was lost. Oh well, it seems to work now. 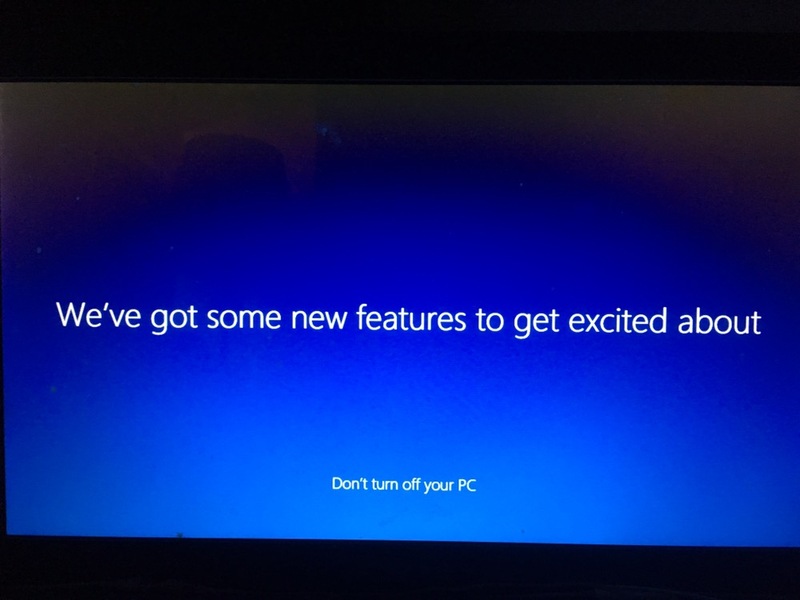 Next is my computer! I’m upgrading this week, but I had to do a lot of work to free up space on my C drive. It was full of videos! I’ve since moved a lot to my D drive, and now I have more than enough space to run the upgrade. But what’s stopping me? In the past, I’ve had trouble with upgrading software. 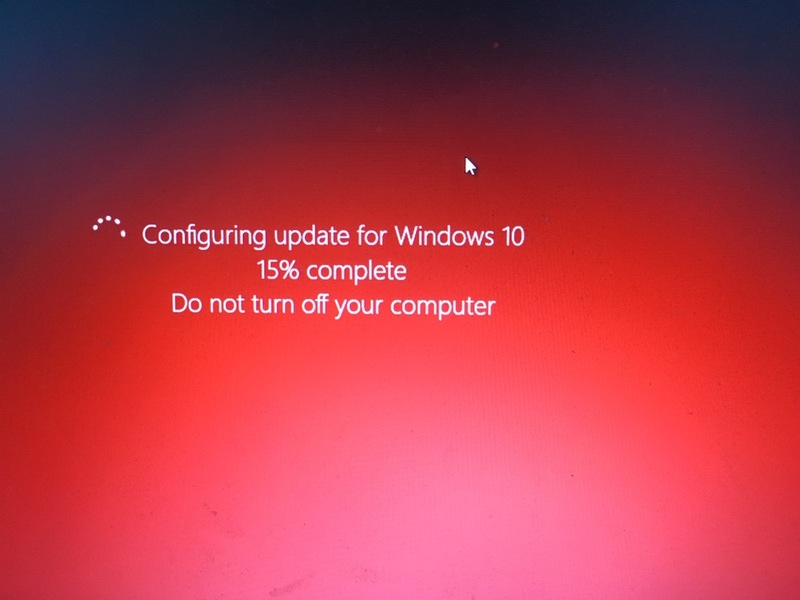 When I upgraded from Windows 8 to 8.1, I had a problem with my desktop refreshing every second, making it impossible to do anything. 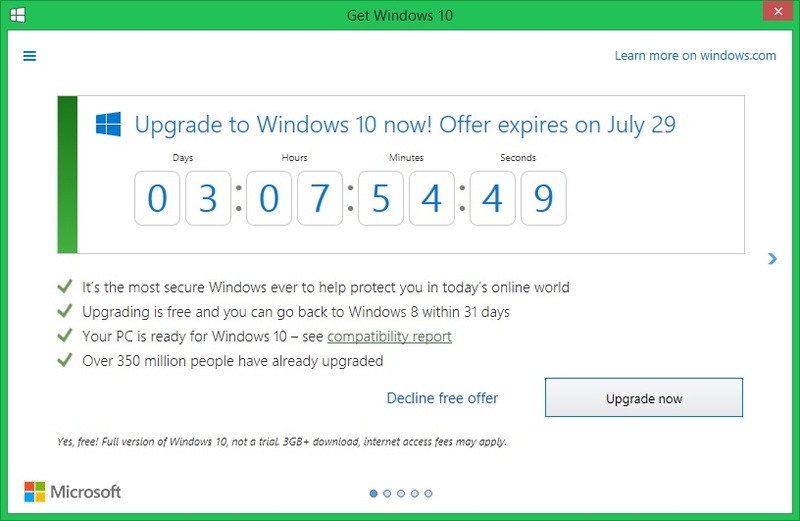 Turns out it was an upgrade from some other software that was hitting a lot of people. 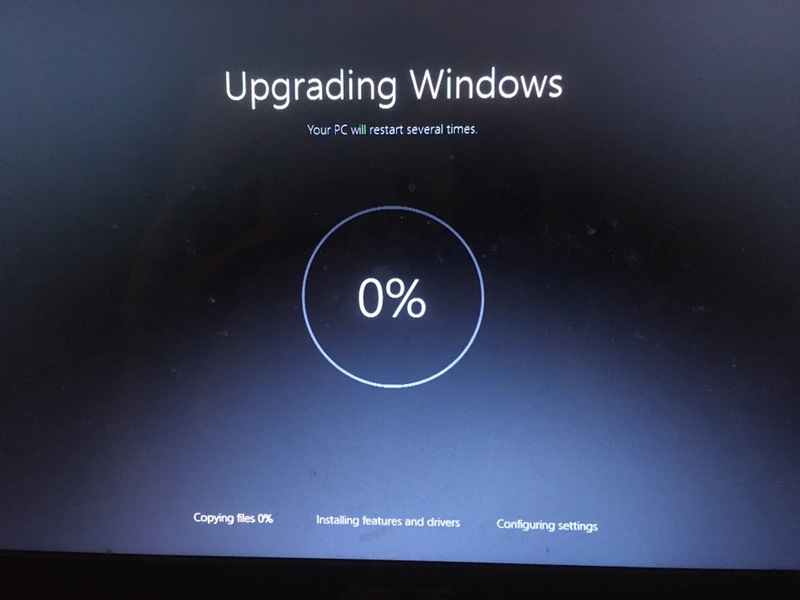 I had to restore my computer from an earlier date, and that fixed it. I’m good with computers and technology. So why do I get nervous when I have to make a major upgrade? Does anyone else feel that way? Unresponsive script. It’s not only made the script unresponsive, but made Firefox unresponsive. I’ve now switched to Chrome, which I’m using to post this. Anyone else have issues with Firefox? Let me know in the comments below.